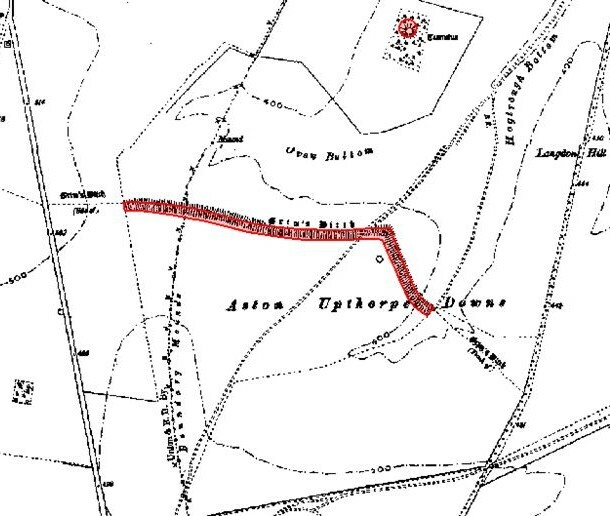 Grim's Ditch is a Scheduled Ancient Monument near the Ridgeway in the rolling, chalk downs of Blewbury. It appears to have been a land boundary dating back to the later Iron Age. Its history has links with the nearby Ridgeway National Trail. This section is jointly managed by English Heritage and Natural England. 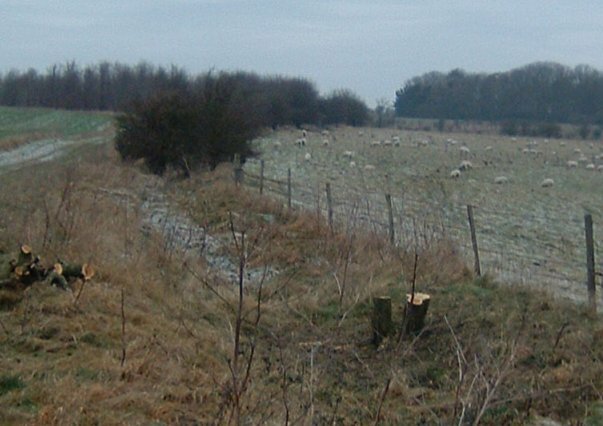 Grim's Ditch runs through many areas of Special Scientific Interest, including the Aston Upthorpe Downs, and as such features important habitats. OCV tasks here include scrub clearance. Grim's Ditch is a chalk grassland. 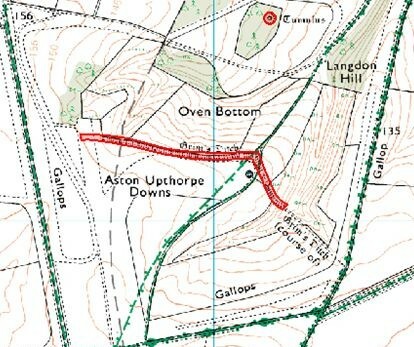 The open access land called Oven Bottom, at the Western end of Grim's Ditch is a Site of Special Scientific Interest (SSSI). It has steep-sided chalk grassland habitat known for wildflowers and butterflies including the horseshoe vetch and the grizzled skipper. The grassland habitat at and around Grim's Ditch is rich with wildflowers and butterflies. Species of birds that have been seen in and around the site include corn buntings, stone-curlews and red kites. The stone-curlew is of particular interest as the RSPB reports it as being one of the UK's rarest birds. Stone-curlews are thought to nest near Grim�s Ditch. Grim�s Ditch is a section of earthwork that consists of a ditch and low upstanding rampart. It is thought to date from the late Iron Age (perhaps around 300BC) and may have been a possible demarcation boundary. The earthwork is thought too small to have been suitable for military purposes. It is thought that when the Saxons arrived in England, well after the Iron Age, they credited the earthwork on the Berkshire downs (along with other similar earthworks in the UK) to their god of the underworld. The name �Grim�s Ditch�, is therefore thought to originate from the Saxon word for the devil, Grim (or Odin). Management at Grim's Ditch concentrates on reaching a balance between protecting the ancient monument and encouraging and supporting a diverse range of wildlife. Scrub clearance helps protect the earthwork from roots of trees and invasive shrubs, whilst retaining the unimproved meadows which sustain the wild flowers, butterflies and curlews present at the site. From the A34 turn off at the Didcot junction and head to Harwell and "(A417)" on the A4185. Follow the road round and at the roundabout turn left onto the A417 towards Blewbury and Streatly. Drive through Blewbury on the A417. Turn right as you leave the village (opposite the petrol station) onto Woodway Road. Drive to the end of Woodway Road (later White Shoot). There are parking spaces on the verges at the end of the road. Walk south up hill along the chalk track, then turn east and cross the gallops to the ditch and embankment.